February 5, 2019 – Researchers, including the DCRI’s Priya Kishnani, MD, hope the study will provide more treatment options for patients with the disease. Actus Therapeutics, a privately held portfolio company of Asklepios BioPharmaceutical, Inc. (AskBio), recently announced the dosing of the first patient in a phase I/II clinical study of ACTUS-101 in patients with Pompe disease. Pompe disease is a serious disease associated with high morbidity and often leads to premature death. There are variable rates of disease progression and different ages of onset characterized as infantile-onset and late-onset disease. ACTUS-101 is delivered via intravenous injection and transduces the liver, leading to the continuous production of acid α-glucosidase (GAA). All study participants in this open label evaluation will receive ACTUS-101 while maintaining their current enzyme replacement therapy (ERT) with alglucosidase alfa. As the trial progresses, subjects who meet prespecified criteria for safety, transgene expression, and motor function will be eligible to suspend treatment with ERT. 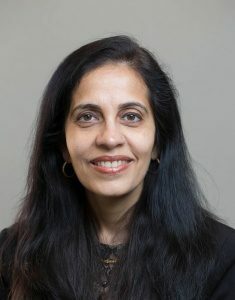 The research team includes Dwight Koeberl, MD, PhD, professor of pediatrics at Duke, and Priya Kishnani, MD, Chen Family Professor of Pediatrics and member of the DCRI, who have played an integral role in the development of gene therapies that may directly address the underlying cause of Pompe disease. Koeberl has been working toward the initiation of this clinical trial for the past decade and Kishnani has been treating Pompe patients for over 20 years, including playing an instrumental role in Duke’s ERT trials in 1999 that led to FDA approval of IV alglucodidase alfa in 2006.